There are countless elements to perfectly furnish a house and, if chosen properly, they will give a special atmosphere to home interiors. Among the most important spaces at home, the living room undoubtedly plays a role of paramount importance, since this is the place in which welcoming guests and spending moments of intimacy with loved ones. By opting for the Arco desk, a table with architect style made by the Icelandic-American designer Chuck Mack, you will definitely conquer your guests' heart and let them stare. 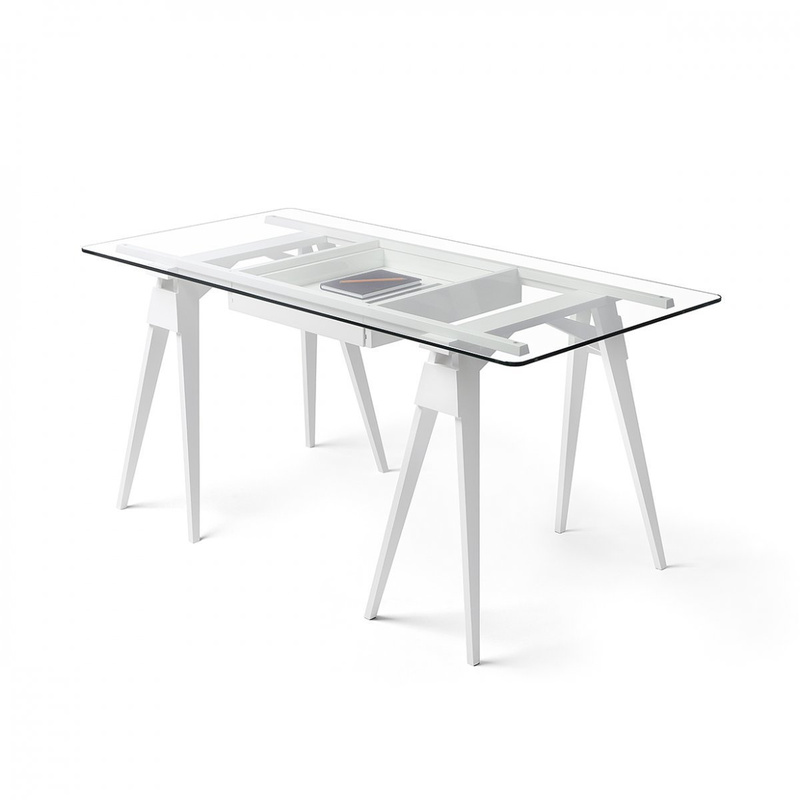 To support this solid structure, composed of a tempered glass shelf, you need 2 Arco trestles for table - white, elegant and durable. This couple of accessories, which supports the weight of the overlying sheet, is made of white lacquered solid wood of the best quality. 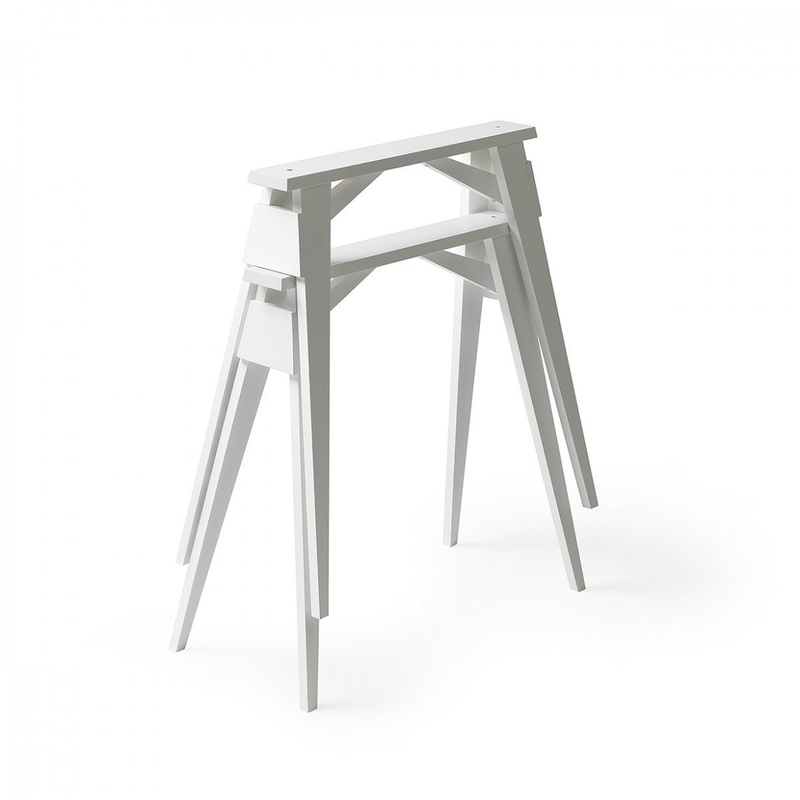 The set of two trestles has a total weight of 8 kg and suitable measures to make your desk a comfortable and functional corner of your living room. It has small size, making it perfect for small spaces, and its transparency will allow to develop all the customers' ingenuity and personality. 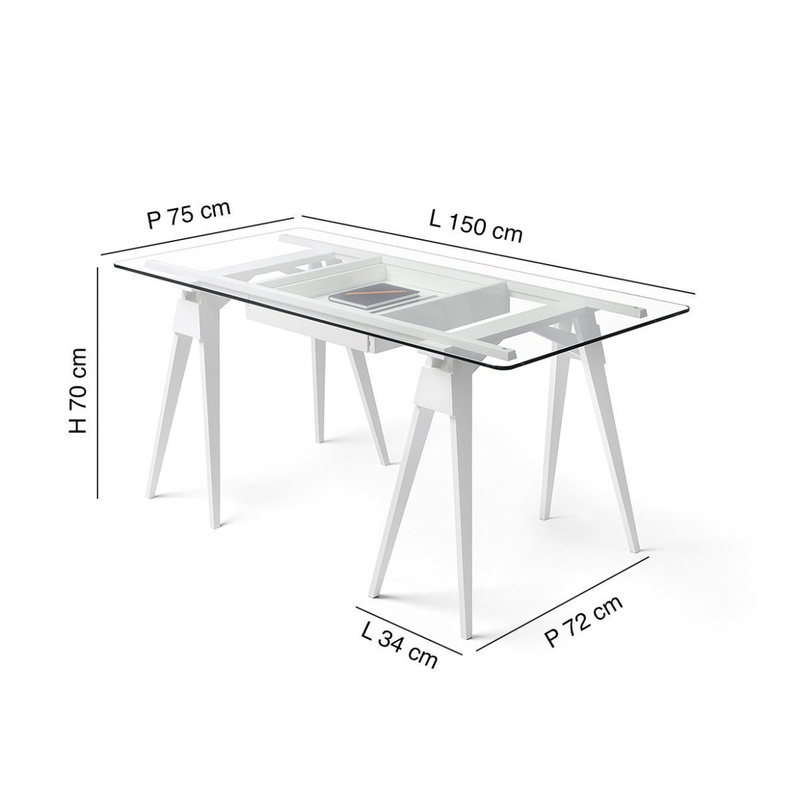 The 2 trestles for the Arco table - white have a length of 72 cm, a depth of 34 cm and a total height 70 cm, ideal to allow a better weight distribution on the surface above. 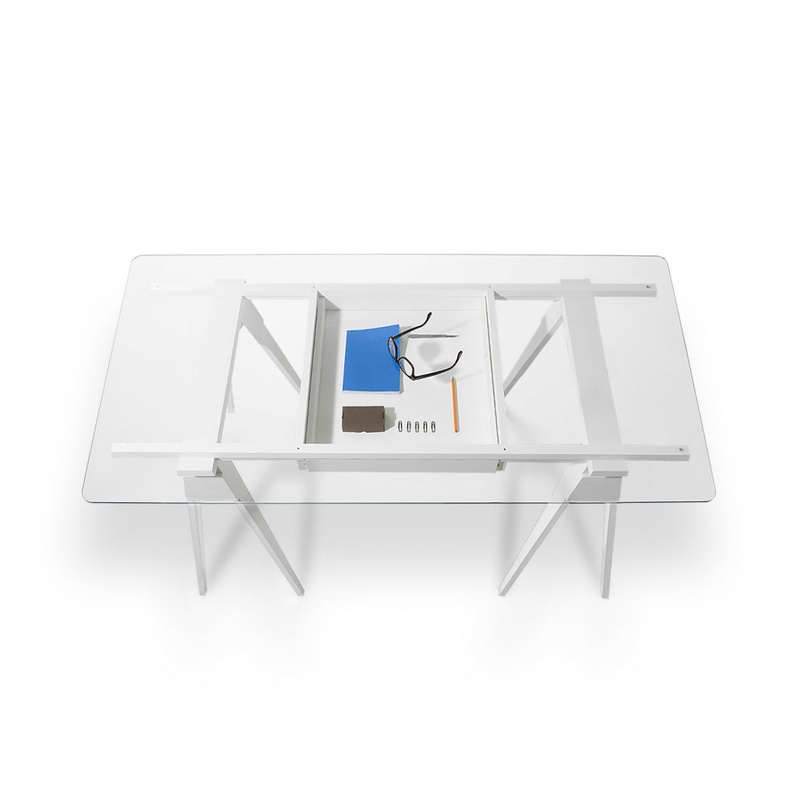 They are one of the three basic parts that make up the desk, along with the structure with drawer and the glass top, and are sold separately. This functional range of accessories is not only endowed with excellent usability features, but meets the latest trends in European design. The brand that has created these accessories is, in fact, one of the leading brands in the production of articles and items for the home, that is Design House Stockholm. The simplicity of form is combined with the research for the best materials, in particular wood, to provide all customers with products of great value at totally affordable prices. Design House Stockholm distinguishes itself more as a "publisher of design" than as a conventional producer: rather than selecting a designer to make a specific product, all designers are invited to bring their personal ideas. 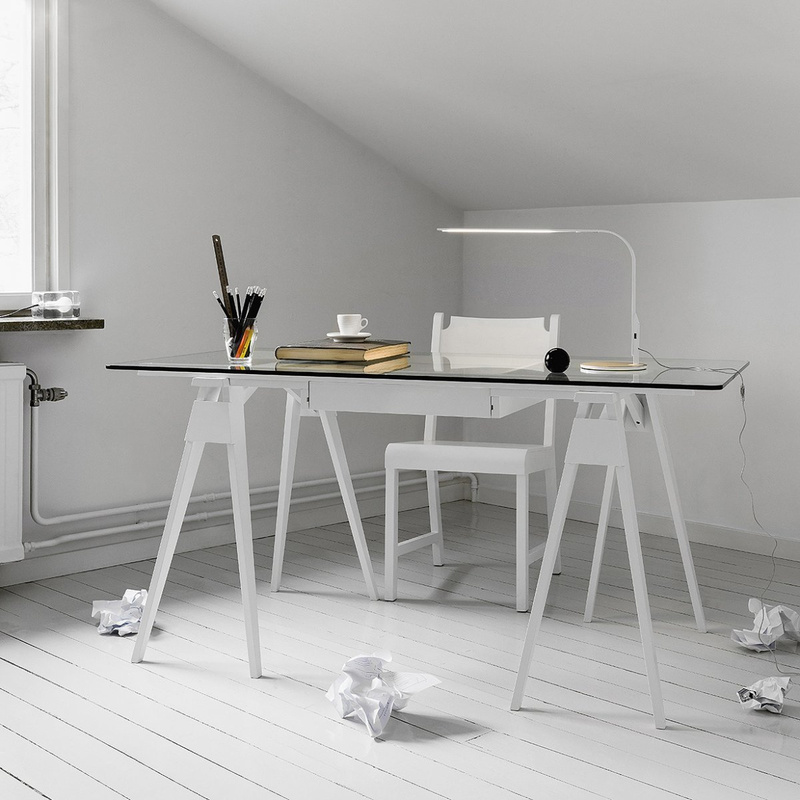 Its ambition is to gather a collection of the very best today's Scandinavian design and aesthetic perspective.